Now that is a novel way of looking at lulluvuduh as we call it jokingly here in NL. 'Liefdesverdriet' or a broken heart. I bet most people never looked at it like that. A broken heart most likely is the start of something new; if one is open to that of course. 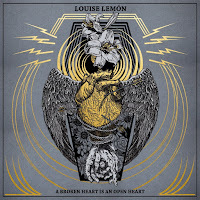 Louise Lemón is a Swedish singer-songwriter who goes beyond the girl with guitar image that is extremely popular these days. Lemón goes for a dark sound on her second album. Death-gospel is the little niche where the press would like to lock her up in. No one playing on this album was dead at the time of playing and there's no, deeply depressed, southern gospel baptist church choir in sight. The sound on A Broken Heart Is An Open Heart is as dark as I think northern Sweden is in deepest winter. Gloomy at best, if there's light at all. Lemón has a dark voice she's not afraid to use. Neither is she in fear of taking on a song with the barest of accompaniment. 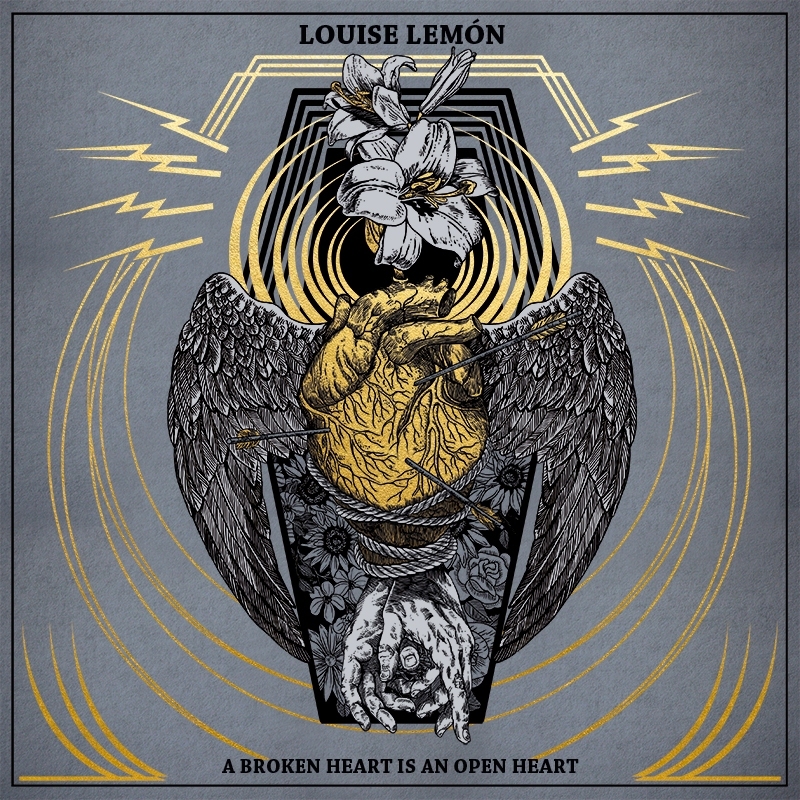 'Swimming In Sadness', yes, quite the title, only has sparse piano chords to which Louise Lemón tries to tread water at best to keep afloat. 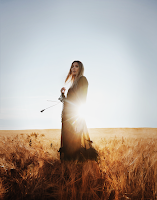 The album opens with a song called 'Sunlight'. It sounds more like a wish for it than it is there to bask in. The person sung to is sunshine. It is a track that is ambiguous. There is a wailing guitar and singing. The music is of the barest kind, atmospheric synths and guitar. It is Louise Lemón who goes full out. My take was I'm listening to an alternative Whitney or Mariah. So if that is the soul element mentioned in the accompanying info, I'll grant it. The album takes a more alternative turn in 'Montana'. It is here that her Swedish colleague Christine Owman came to mind. She is able to wallow in the darkness as well. 'Montana' is far larger in sound though. In the third song the album again takes a turn with a more poppy sounding 'Not Enough'. The darkness is not lifted in the music, in the singing it is. Louise Lemón uses her powerful voice to sing an all out chorus. Enough to make people sway at a minimum. Underneath is a dark guitar, while piano and drums are the front instruments. Anyone listening to A Broken Heart Is An Open Heart will be surprised by the many sides to this artist. The same goes for the way she can use her voice. From a more closed way of singing to a forceful, all out storm. Moving through the album I notice that I do not like every song as much. Yet it is very easy to keep listening. Around every corner the next surprise awaits me. Not many albums offer such diversity in such an interesting and often good way. Take the long, dark guitar solo in the instrumental 'Susceptible Soul' or the poppy 'Cross', while the soul does move in the high sung 'Honest Heart'. Like Christine Owman's album 'When On Fire' (read on here: http://wonomagazine.blogspot.com/2017/02/when-on-fire-christine-owman.html) A Broken Heart Is An Open Heart deserves attention and success. It is special and manages to set itself apart from many records released over the past period. A real tip it is.